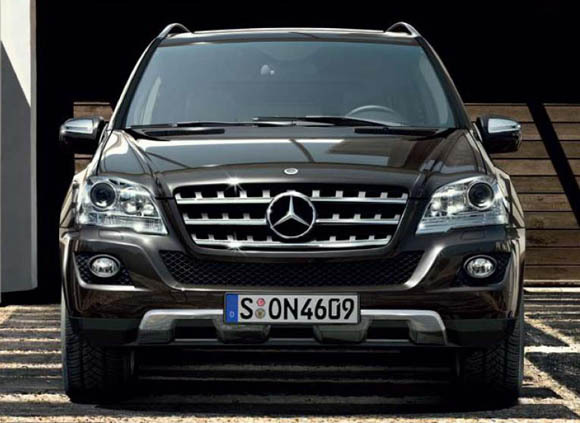 The Mercedes-Benz M-Class is a luxury mid-size sport utility vehicle (SUV), first offered in 1997 as a 1998 model, and built by the German automaker Mercedes-Benz. Gradually, the M-Class became a sales success in the United States and Mexico. In terms of size, it is slotted in between the smaller GLK-Class (based on the C-Class) and the larger GL-Class, with which it shares platforms. For a short time, between the years 1999 to 2002, the M class was also built by Magna Steyr in Graz, Austria, for the European market, until it moved to part of the U.S. market.